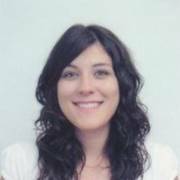 Sofia Carrusca, born in S. Brás de Alportel (Algarve), has a degree in Cultural Heritage by the Universidade do Algarve, she is a Health and Safety at Work Senior Technician level V and has a Post-graduation course in Underwater Archaeology by the Universidade Autónoma de Lisboa/Politécnico de Tomar. Sofia has been working on different projects in the fields of archaeology, conservation and restoration, interpretation of heritage and tourism since 2004 and she has been involved in some projects such as Via Algarviana, the cycle of exhibitions “Algarve do Reino à Região” by the Universidade do Algarve, the Cork Route project and the Mediterranean Diet Route. She has also carried out work in the fields of cultural training, consultancy services and projects development for EU funds for various companies, such as the content production work and consultancy services carried out for Tertúlia Algarvia for which she has produced tourism and cultural contents for tablets "Program Discover the Vila-a-Dentro: Faro", and also business consultancy work for the company Corque. In 2013, Sofia created the Algarve Rotas company, which operates in the field of tourist activities for the interpretation and valuation of the local cork industrial heritage, the promotion of cultural tours, nature tours and develop workshops in the field of traditional arts and crafts improving new experiences experiences to the customers.